I’ve been having some trouble finding “new” foods to try. Here’s one I’ve tried recently that I highly recommend. 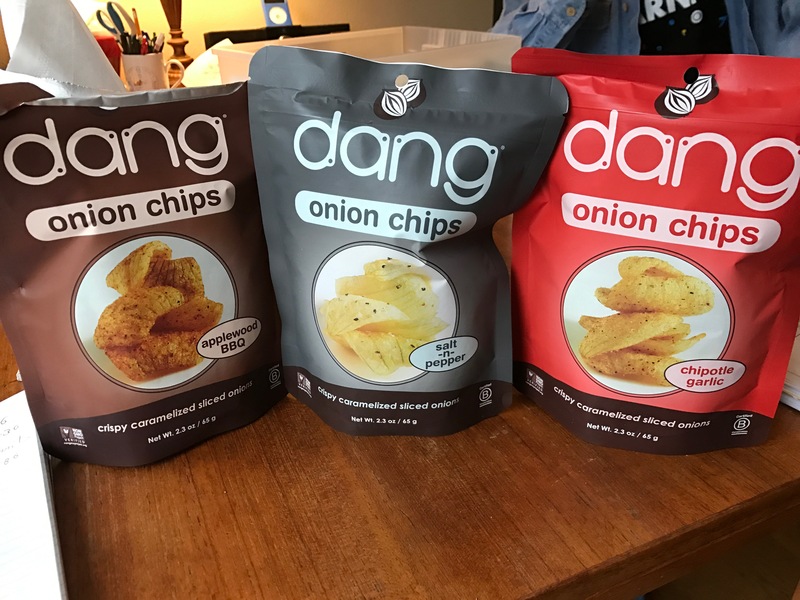 This is basically dried onions, with flavors, such as Salt-n-Pepper, Applewood BBQ and Chipotle Garlic. They are crispy and light, and sorta melt in your mouth. I got these at Central Market but I have also seen them at Metropolitan Market. Yum. 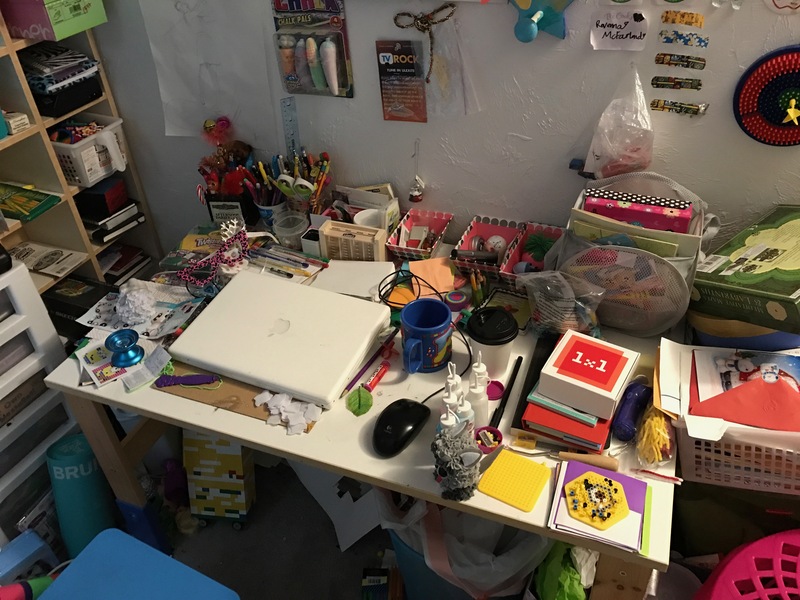 My tween’s desk has been a source of parental horror for me ever since I caught her eating a bowl of soup directly in front of the laptop keyboard. Banning soup from the area isn’t enough though. I mean, look at the photo below. She doesn’t have any real space to do her crafts while watching endless sessions of PopularMMOs on the laptop screen. 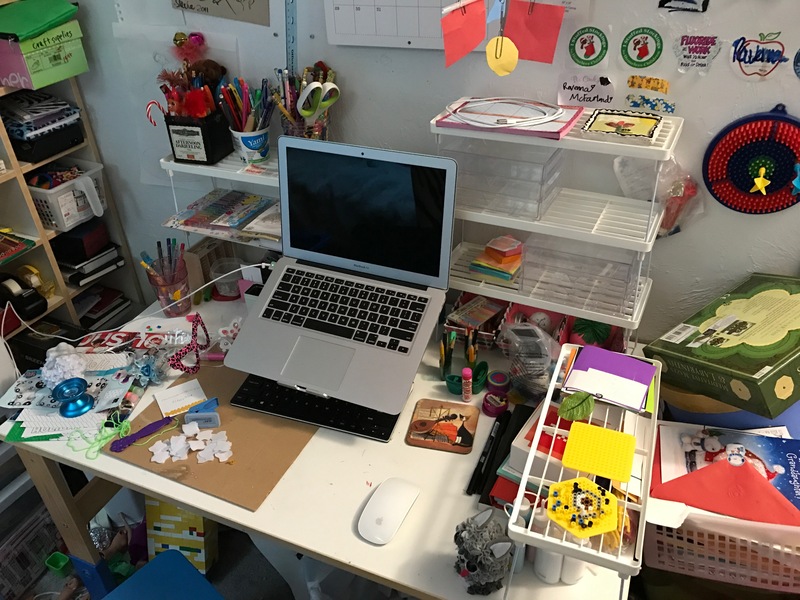 I’ve been telling her for months that we just need to raise the lappy up on a platform, push it back aways, and add a bluetooth keyboard which we have kicking around, but she recoiled every time I brought it up, apparently unable to convince herself that the effort of moving her little bins of whatsit back there were going to be worth it. 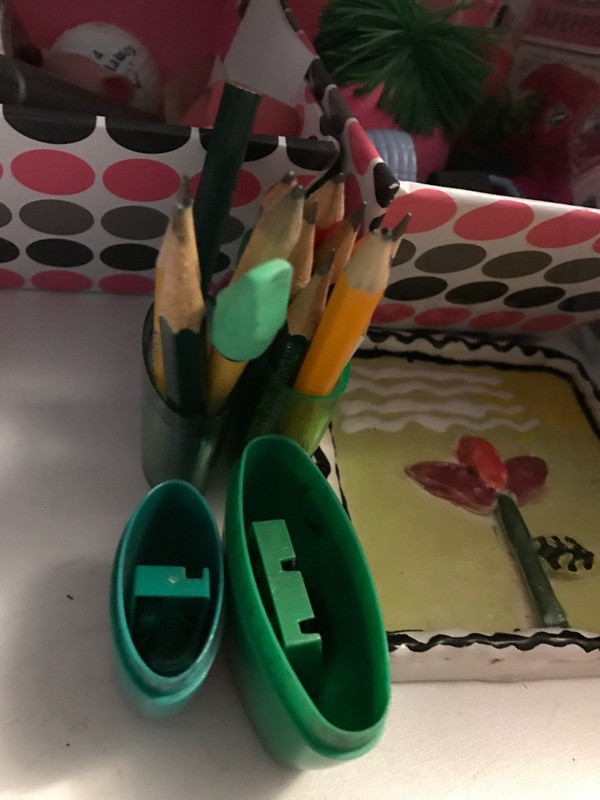 So while she was at school one day last week, I decided to take matters in to my own hands, aka, “saving her from herself.” It’s a power technique all parents need to have in their toolkit when raising a stubborn child. 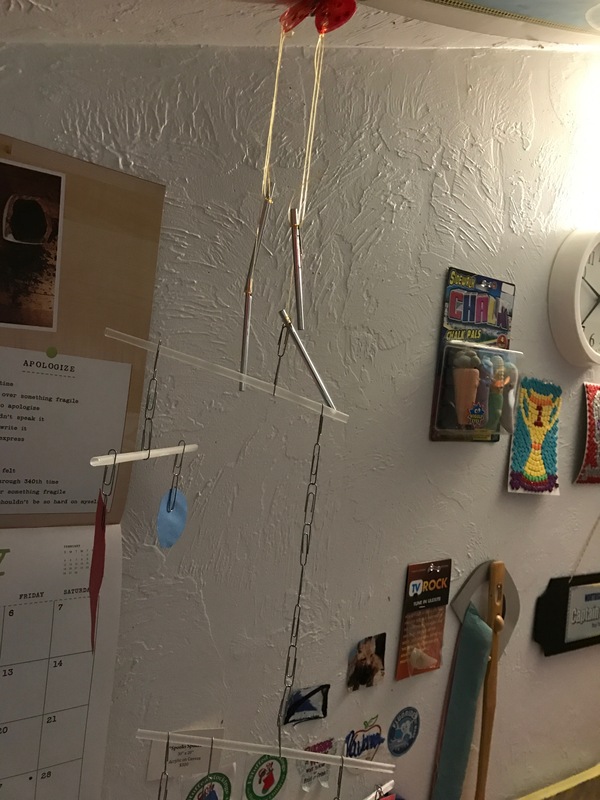 Cheap wind chime kit ingeniously morphed into a mobile with straws, paper clips and little paper shapes. Once there was room, I moved all the little bins and put in these cheap plastic shelves from Daiso and then arranged her stuff. Lappy went up on a riser with the keyboard tucked underneath. See how much better it looks? Well, it’s not Pinterest-worthy but still. In my house, this counts as serious progress. Especially since the kid loved it. Picked up this drink while I was out and about. It was cold, but you could probably heat it up. Basically it is like liquid curry. A chai without the tea. Not bad. 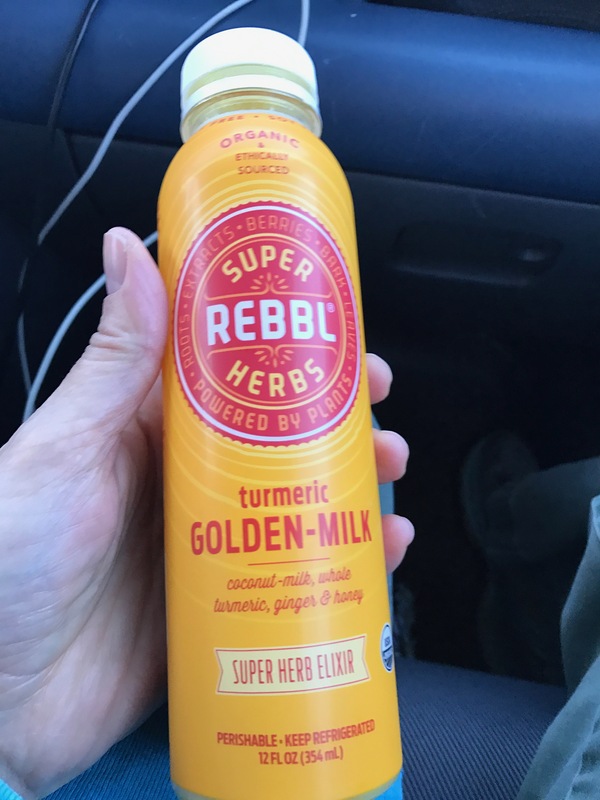 After doing some research, I learned this drink is also called a turmeric latte and I found a recipe you can make at home.